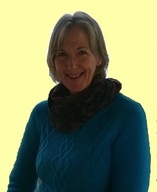 I have worked for nearly 30 years as a therapist, privately and in the NHS, Education and EAP sectors. Primarily I work with individuals from a Psychodynamic base, but use many skills as appropriate to the needs of the client. I have run Stress management and relaxation groups within the NHS and privately for many years. I graduated in a Social Sciences degree in 1976 and for some years worked as a Probation Officer before training as a therapist at the Tavistock Clinic in Psychodynamic Pychoanalysis and later as a Supervisor at the Society of Analytic Psychology. I worked for a WPF affiliate as a group supervisor for many years. I set up a counselling service in a local private school and have many years of experience working with young people and staff. The most important part of my work is creating a good working relationship with the people I see. As well as bringing a wealth of professional experience I believe that I provide an environment where we can tackle the pain and struggle of life events through compassion, attentive listening and where necessary encouragement towards change. I believe that everyone matters and therapy provides an opportunity to have a deeper understanding of oneself and the roles we play in our relationships.